Tree stumps can make your garden look unappealing. However, removing them can be a very challenging task, especially if you try to do it on your own. So, what can you do in this situation, is there a way to deal with these tree stumps in a professional manner? Yes there is, all thanks to Arbor View Tree Care! With Arbor View Tree Care, you get to have 24/7 immediate support, upfront pricing and the very best results that you can find on the market when it comes to stump grinding services. 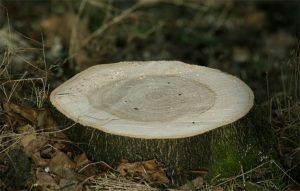 We know how hard it can be to have tree stumps in your garden, but with our help you will have no problem finding the best results and outcome regardless of the situation. With more than 10 years of experience as a professional arborist, Arbor View Tree Care is here to offer you the ultimate experience on the market. We work closely with both residential and commercial users in order to deliver high quality, professional arborist services that you can rely on. Nothing is impossible if you want to work with us, all you have to do is to let us know how many tree stumps are there and we will come to you right away. Since we have all the necessary tools, you just have to take your time, work closely with our team and the experience will be an amazing one each time for sure. And since we are dedicated to value, you know that each time you work with our team all tree stumps will be removed in record time. We are very efficient and qualified to work in this type of industry, so you can rest assured that the experience is very well worth it. Moreover, our stump grinding service is very affordable. This means you will be very pleased with the results that you get from us. That’s what makes the experience well worth it, the fact that you always get a good value and you will be amazed with our professionalism and support. Of course, we maintain the prices low because we know there are people who can’t afford an arborist and they don’t call a professional. This can result in injuries and other problems, issues that you can avoid if you work closely with our team as fast as possible. You can rest assured that there is a lot of value to be hand, and once you work with us you will see that the experience will be a stellar one. Don’t hesitate and remove those unwanted tree stumps from your yard as fast as possible. Arbor View Tree Care is here to make the process fast, easy and seamless. All you have to do is to work with our team as fast as possible and we will be more than happy to handle the situation. Call us now and take complete advantage of our special prices and VIP support, you will be very impressed with the efficiency and quality that we deliver!